H&K VP9 SK (SUB COMPACT), 9MM, 3.39" BARREL, NIGHT SIGHTS, MATTE BLACK, 10 ROUNDS. Covered by Heckler & Koch’s limited lifetime warranty, the HK VP9 is a solid design engineered with the famous long-term durability that make HK products especially cost-effective when subjected to total life cycle cost analysis. 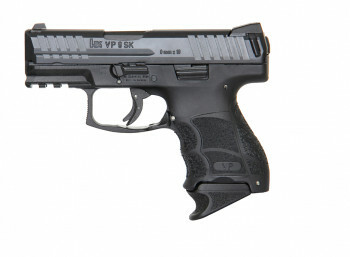 Suggested retail price of the VP9 is $719 with projected availability of July 2014.